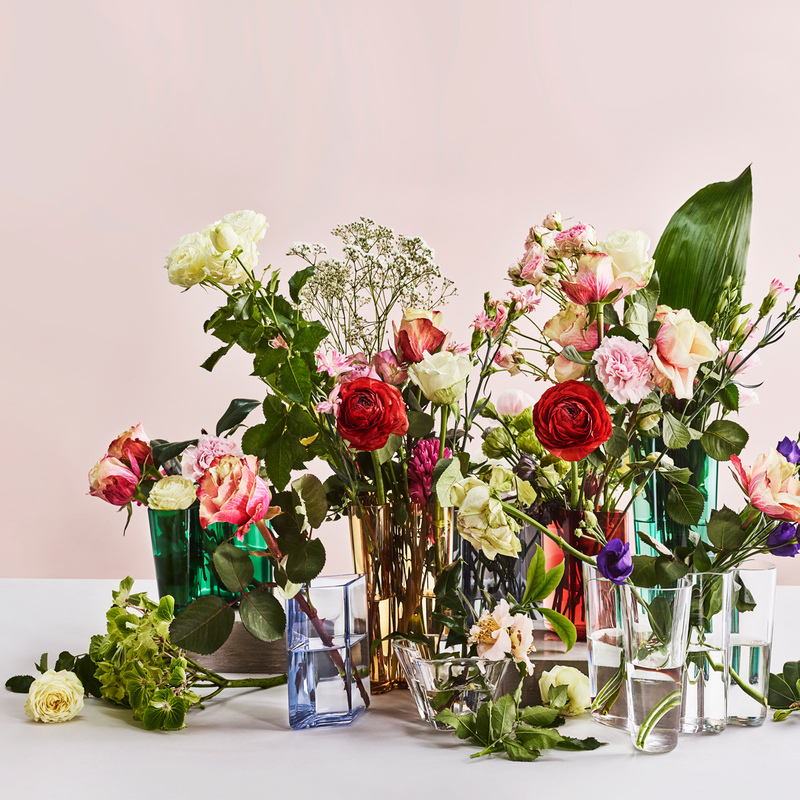 Home > Brand > iittala > iittala Home Accents > iittala Alvar Aalto Vases > iittala Aalto Emerald Vase - 4-3/4"
Home > Brand > iittala > iittala Alvar Aalto Vases > iittala Aalto Emerald Vase - 4-3/4"
Home > Shop by Category > Gifts > iittala Alvar Aalto Vases > iittala Aalto Emerald Vase - 4-3/4"
Home > Shop by Category > Living > Home Accents > Finnish Vases & Plant Pots > iittala Alvar Aalto Vases > iittala Aalto Emerald Vase - 4-3/4"
Home > Shop by Category > Home Accents > Finnish Vases & Plant Pots > iittala Alvar Aalto Vases > iittala Aalto Emerald Vase - 4-3/4"
Home > Shop by Category > Gifts > Gifts by Occasion > Unique Wedding Gift Ideas > iittala Alvar Aalto Vases > iittala Aalto Emerald Vase - 4-3/4"
More about iittala Aalto Emerald Vase - 4-3/4" From fresh cut flowers to candies at a party, there are plenty of ways to use the iittala Aalto Rain Vase - 4-3/4"; the 1936 design by Alvar Aalto is so flawless, it can even stand on its own empty. Saturated in the rich jewel tones of iittala's new Emerald color, this classic gets a breath of fresh perspective. Specifications for iittala Aalto Emerald Vase - 4-3/4"
Product Reviews for iittala Aalto Emerald Vase - 4-3/4"
I have the classic version of this Aalto vase--clear glass, and larger--and I never thought I'd need (or want) another version. But after seeing a gorgeous flower arrangement in this style on Claus Dalby's Instagram page I decided I had to try it. It's great for short-stemmed flowers , and the green contrasts beautifully with purple flowers (presently I have hyacinths in mine) as well as white and yellow. You don't need a lot of flowers to create a stand-out arrangement. The quality is great, exactly as it has always been from iittala. Love this vase! My step daughter will LOVE this!! It is a fantastic shade of green but not so dark that you can see though it. Amazing! 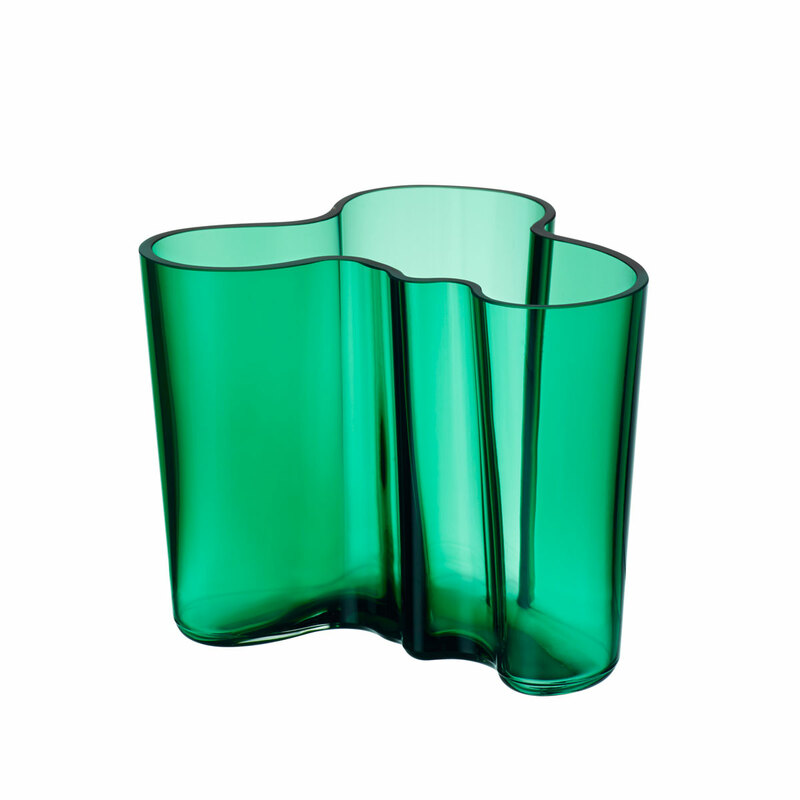 The rich emerald/shamrock color of Aalto's iconic vase makes this the perfect springtime gift. 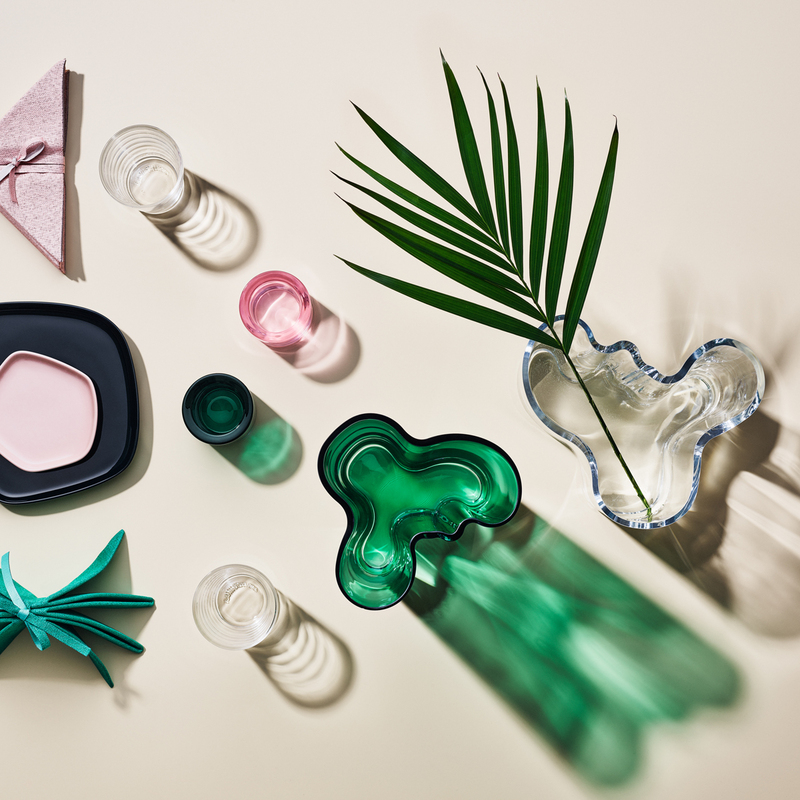 A must-have for Iittala and Aalto collectors. ProsCool green color! Made by skilled artisans in Finland.